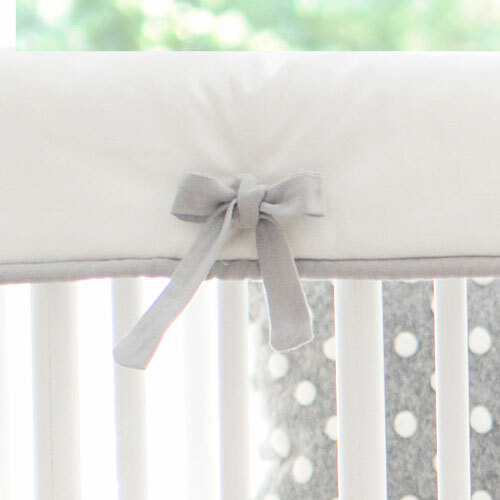 Our gray baby bedding is sweet and simple. 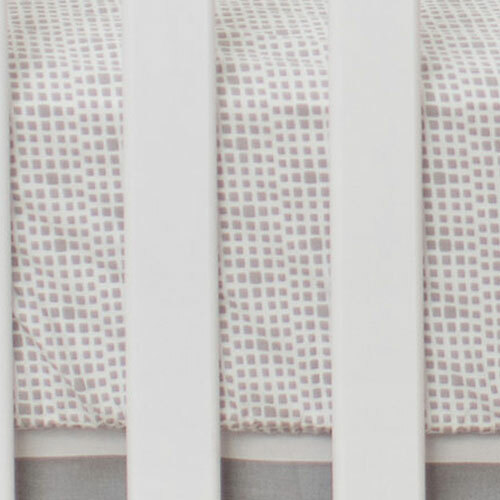 This neutral gray crib bedding collection is perfect for a baby boy or unisex nursery. 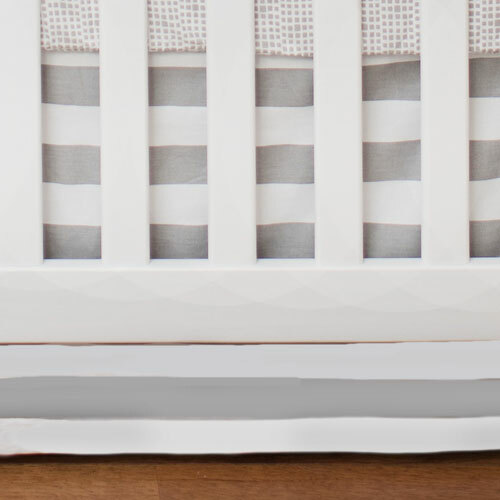 Cotton crib sheet features a gray square pattern, and tailored crib skirt is gray stripe. Navy crib blanket is warm, cozy and backed with our super soft serpa fabric. This crib collection set was featured in Laguna Beach Star, Alex Murrel's nursery for her new baby Levi! See more of this ocean inspired nursery on our Blog! • Gray Stripe Crib Skirt drop length is 17". • 100% Cotton Gray Crib Sheet is machine washable. 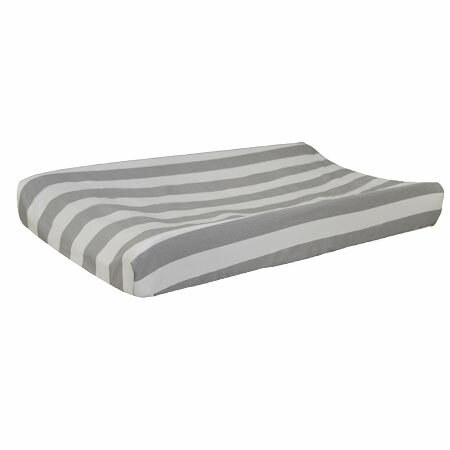 Purchase items in this gray crib bedding collection separately below.